Khabib Nurmagomedov's manager Ali Abdelaziz has become well known for his enthusiastic public statements in support of his client, and he recently took to one of his favored outlets (TMZ) to lay down a very bold claim about Khabib's short-term prospects with regard to future fights. According to him, since Khabib is now a "bigger star" than rival Conor McGregor, he deserves even more money in exchange for stepping into the ring: A line Abdelaziz draws at at least $50 million. "Come on, man! You have a guy meeting with Putin, [President of Turkey] Erdogan. And, the other guy selling liquor on the corner store. It's not even in the f**king same planet." "I really want to see [Conor] drink his own blood … He talked a lot of sh*t. He didn't back it up. Embarrassed himself in front of his whole beautiful country of Ireland, his father, his mother, his wife." That was a bit of a change from some of Ali's earlier statements to the press, particularly a recent boast that McGregor doesn't deserve a rematch with Khabib on the grounds that "he's a quitter." 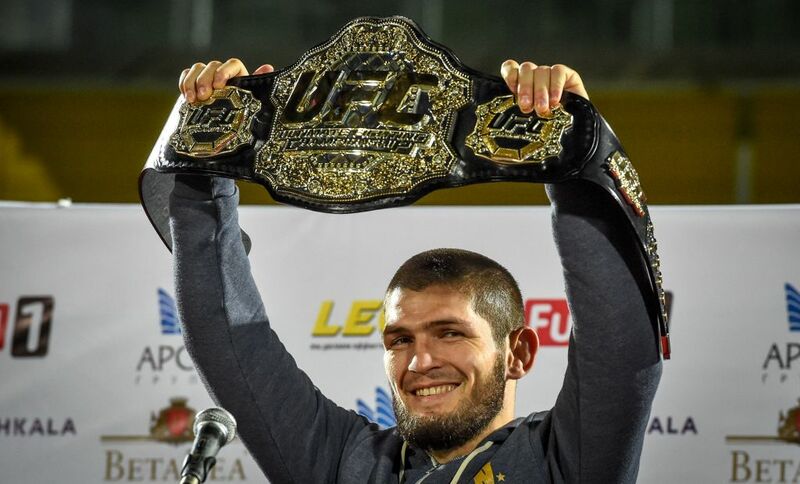 But, the fight world will just have to wait and see if Abdelaziz really gets Khabib a $50 million check for his next fight, or if a Khabib/McGregor rematch is in the cards. But to see things from Abdelaziz's point of view, both things seem to be almost inevitable.